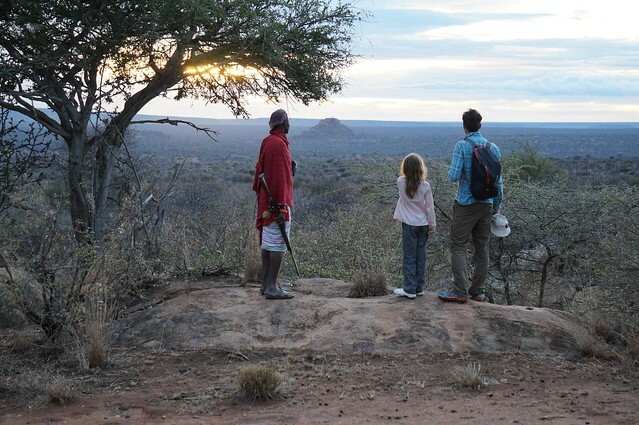 I last visited Kenya earlier this year with my oldest daughter (8 years old) for company. It is hard to underestimate the weight of responsibility in leaving the majority of your family at home, whilst you take off to a far off corner of the world with one of your beloved children. 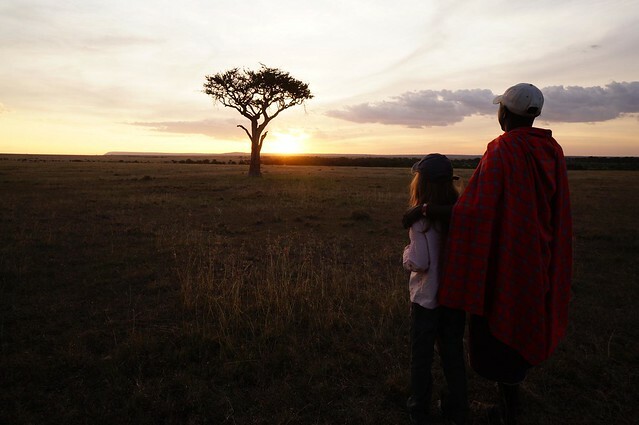 It is not something I have ever taken lightly and is something I consider deeply every-time I travel with my children, whether it be to Kenya, Morocco, South Africa or the United States. In this instance, I even got the call from my own mother, asking what I thought I was doing taking her grand-daughter to Kenya? I know Kenya well and have a good feel for the security situation. But being asked outright by my mother, made me step back and re-assess. It is worth putting the dramatic press response to recent events into context and there is no better way to do that than with numbers; Over 1 million tourists visit Kenya every year, of which around 200,000 are British. By the British Foreign and Commonwealth Office's own admission, "185,967 British nationals visited Kenya in 2012. Most visits are trouble-free." The German and Italian package operators continue to send their clients in huge numbers to the Kenyan Coast. Growing numbers of Chinese visitors are fast filling up the Masai Mara during the migration season. Thompson, who dramatically evacuated their clients from the Mombasa area recently, themselves still operate and sell holidays to other parts of Kenya. And of course, significant number of British expats continue to live in Kenya, we have good friends with children the same age as ours who live, work and send their young children off to school in Kenya in neatly pressed uniforms – life continues as normal for these families. You can never say never, but there are very good reasons why Kenya remains the world's favourite safari destination and these reasons remain, the Masai Mara is still magnificent (and the migration is there early this year), the Laikipia region offers (in my opinion) the best all round wilderness safari experience in Africa and Mount Kenya is Africa's finest Mountain (yes it is a superior trek to Kilimanjaro). After my mother’s call, I sat down with my wife, discussed the risks as we saw them and came to a decision. With minimal time in Nairobi and the majority of the trip spent on safari in remote luxury wilderness locations and pretty much permanently in the care of a guide, driver or camp, we felt the risk was no greater than taking a long car journey down the M4 and M5 to Devon (a fact which was born out when my wife on that very same journey whilst I was in Kenya, saw a car spin out of control on the M4 at 70mph in heavy rain). 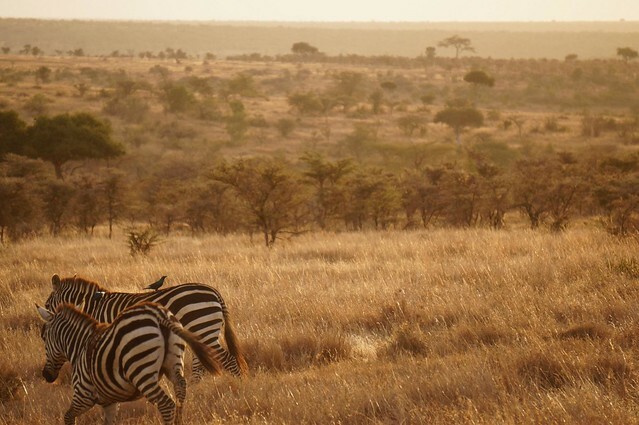 The fact remains that even during the terrible election troubles in 2007, no tourists were hurt and this pays testament to the extent to which the conservation areas, private reserves and National Parks that make Kenya the world's most popular safari destination are largely insulated from urban problems. Just as visitors to South Africa's Kruger National Park and Garden Route are largely insulated from the high crime rates prevalent in urban areas in Johannesburg and Cape Town and foreign tourists who visit London and Oxford are largely insulated from the inner City crime, muggings and gangs of those Cities. The change in FCO advice for Mombasa is disastrous for those locals in the area whose livelihoods rely on tourism but it won’t have been taken lightly. As a company we have always actively avoided staying within the area the FCO recently advised against travel to, and were in the process of internally reviewing the security situation for transit through Mombasa Island and on the Likoni Ferry. Whilst undoubtedly the reaction in the British press to Thompson’s decision to evacuate their clients from Mombasa blew the situation out of proportion, we believe that security did need to be improved in this specific area and look forward to the Kenyan Government making improvements for the sake of tourists and locally in this area. 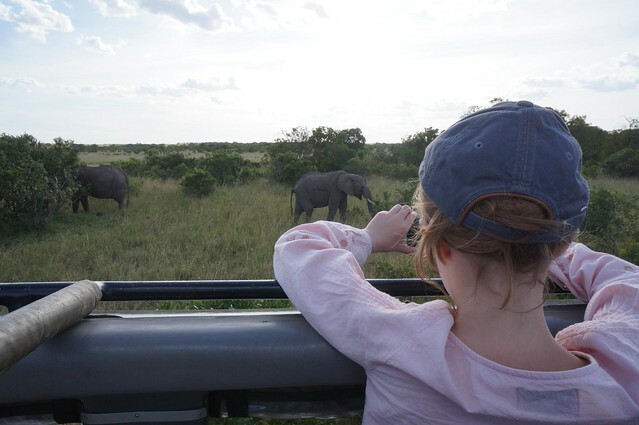 As it turned out, my daughter and I had the most incredible experience, as a closet Northerner, I’m not naturally given to over-enthusiasm, but I can safely say that some of the new camps we visited the Laikipia area of North Kenya are now safely amongst some of my favourite places in the world (and I get around a lot in my line of work). We never felt remotely unsafe (well, except for take-off and landing, which still scares me witless). As ever in Kenya we had a warmer, friendlier and more enthusiastic welcome than I've experienced anywhere else in the world. At the end of the day, we all face risks when we travel and we have to ask ourselves, what life do we want to live? Do we want to minimise risk and never explore beyond our own backyard or do we want to see the world. I choose the latter, but there is no shame in choosing the former, it is a deeply personal decision. 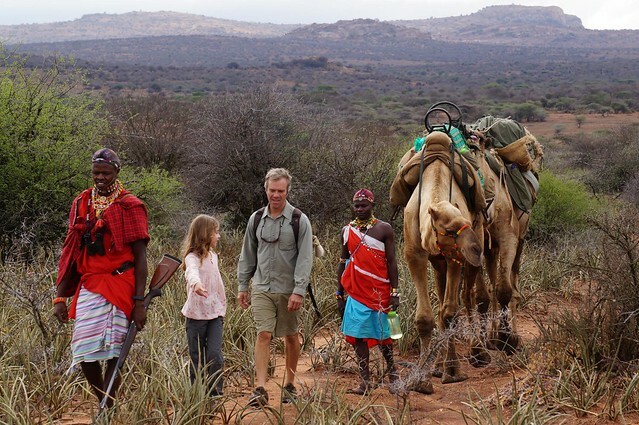 For all these reasons we continue to sell Kenya and recommend it as a safari destination for families and couples alike. There can never be absolutes when it comes to security in any part of the world, but we continue to recommend our clients visit the National Parks and private conservancies in the Masai Mara and Northern regions around Mount Kenya and Laikipia. 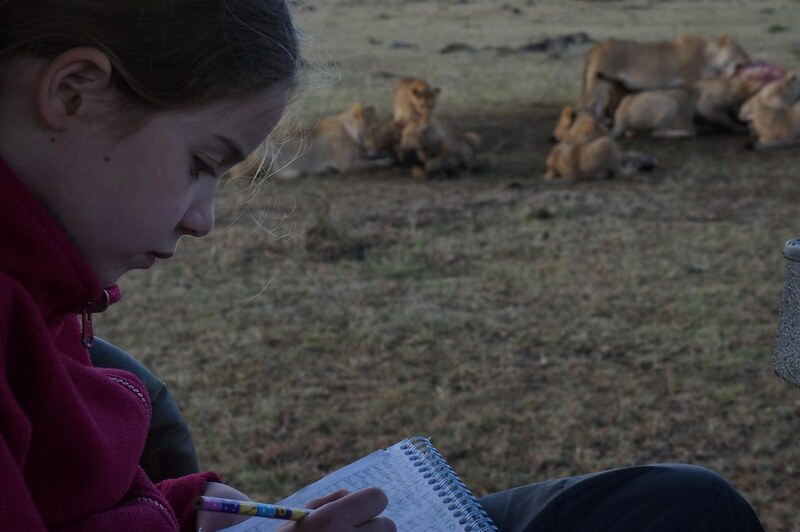 I'd like to leave you with some feedback we received from a family who visited Kenya during the recent May half term. 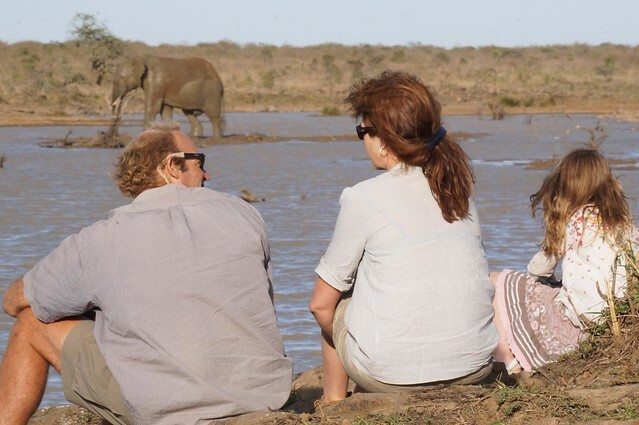 They travelled out a week after Thompson dramatically evacuated their clients from Kenya, the family chose to carry on with their plans and by all accounts had a lovely time. The family flew into Nairobi, and spent their week in the Masai Mara and Lamu on the Coast in the last weeks of May 2014. I now have some time to write about our trip. Everyone is well, and our moving process is underway. It would be much appreciated if you could you pass along the section on Lamu to the Moon Houses. Or, I will be happy to email them myself if you could pass on an address. 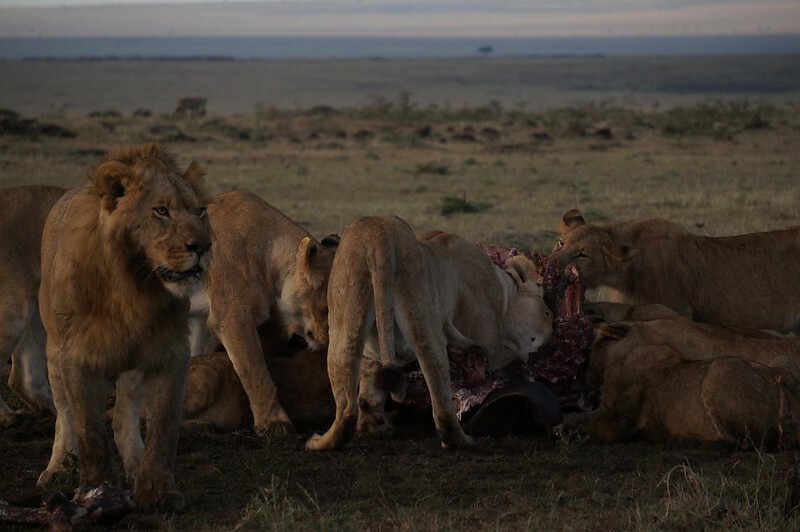 We most enjoyed our time at Masai Mara and The Intrepids. We were well looked after by the staff, our steward and waiter were personable and attentive, and the accommodations were a wonderful place to relax. The game drives were fun for all of us, and we especially enjoyed our guide, Katembo. Seeing such a concentration and variety of animals within the park was such thrill for everyone. Our teen daughter enjoyed the drives and appreciated Wi-Fi access, so she could post pictures from each day's sightings. Our 11 yr. old loved spending time with Judy in the Adventurers Club, and opted out of a couple of drives to stay back and do activities with her. Judy was excellent with her. On the last night, at our waiter's request, the chef cooked a traditional Swahili meal for us, which was the favourite meal of our stay. Intrepids was a good choice to accommodate all members of the family. 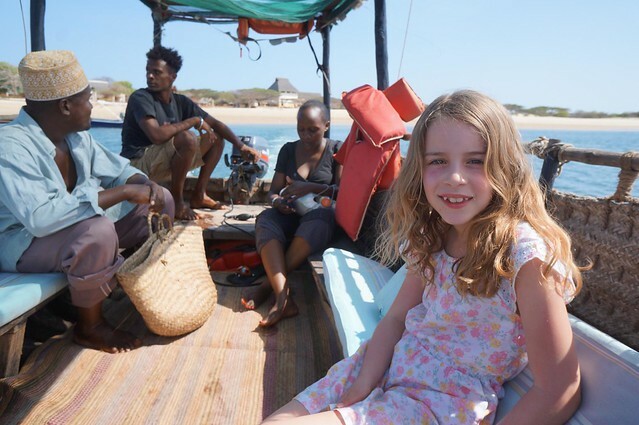 We were very pleased with the choice of Lamu for our beach stay. We stayed at Kiwandini House in Shela. We truly enjoyed the beauty of the traditional Swahili style house and the relaxed and quiet atmosphere of the town. We were well cared for by a very adept staff. Asya the manager was accommodating and helpful. Chef culinary skills were excellent on both taste and presentation. He provided us a personal 4 star restaurant and over fed us with the most delicious food. He did very well at accommodating our preferences. Sylvester, our steward, was gracious and tireless and humble. We were very impressed at the attention to detail he gave, from setting the table to preparing our rooms. He was helpful, kind, and accommodating in all things. We spent much of our time relaxing by the pool or enjoying the ocean breezes from the upper floor, but found plenty to do to occupy our three days there. The highlight was participating in the release of a nest of baby sea turtles on Manda Island. Again, Lamu was an excellent choice. Our family enjoys nature so this was a highlight holiday. Never once did we worry about security or feel unsafe. We enjoyed the natural beauty of the country and the hospitality of the people. We loved Kenya and hope to return again. Thank you for following up with us once we were home to see how our trip went.